The Biden family just welcomed a new, furry addition! Former Vice President Joe Biden and his wife, Dr. Jill Biden, have adopted a rescue German shepherd named Major from a Delaware animal adoption center. The Delaware Humane Association, located in the city of Wilmington, revealed the news Saturday with a series of sweet photos posted to its Facebook page. 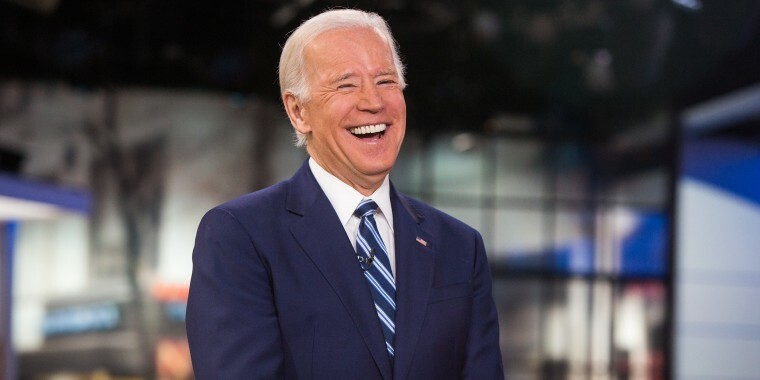 "We are so happy to welcome Major to the Biden family, and we are grateful to the Delaware Humane Association for their work in finding forever homes for Major and countless other animals," the Bidens said in a press statement released by the association. DHA wrote in its Facebook post that Joe and Jill Biden first met Major while fostering him. The pup was one of six puppies brought to the center "after being exposed to something toxic in their home." The owners surrendered the puppies due to "financial constraints," DHA wrote, and the organization worked with a local veterinary emergency center to care for them. Once the former veep "caught wind" of the dogs in need of homes, he reached out immediately, DHA also wrote. The photos shared on Facebook show a grinning Joe at the adoption center making the sweet pup's adoption official. Major will join the Bidens' other German shepherd, Champ. "It was such an honor for us to adopt a puppy to Vice President Joe Biden and Dr. Jill Biden," Patrick Carroll, DHA executive director, said in a release statement. "We make friends for life at DHA and we know that the bond between humans and their pets is incredibly strong."